This Couple Has Been Married For 75 Years, When He Sings This Song To Her I Can't Stop Crying! This Couple Has Been Married For 75 Years, When He Sings This Song To Her I Can’t Stop Crying! It’s not something you see very often in today’s world – a couple being married for 75 years! 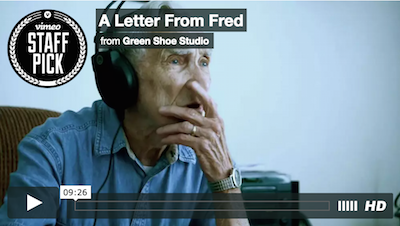 So when Fred expresses his love about his “Sweet Lorraine,” it’s difficult not to cry. “She was the prettiest girl ya ever saw,” he said. “She gave me 75 years of her.” Then one day, Lorraine died, leaving Fred without his love. So on a lonely day, he decided to write a song about her. He never sung or wrote lyrics before, but he decided to submit this to a songwriting competition. “I’ll just send a letter. Send it all in. Never thinking I’d get an answer or nothing,” Fred said. But Jacob Colgan’s Green Shoes Studio was so moved by the song, they decided to hire musicians and singers to record it. Check out Fred and Lorraine’s beautiful story below and SHARE if you believe this is what true love looks like! This Soldier’s Dog Bit A Cop In The Leg – Now Watch The Cop’s Reaction!